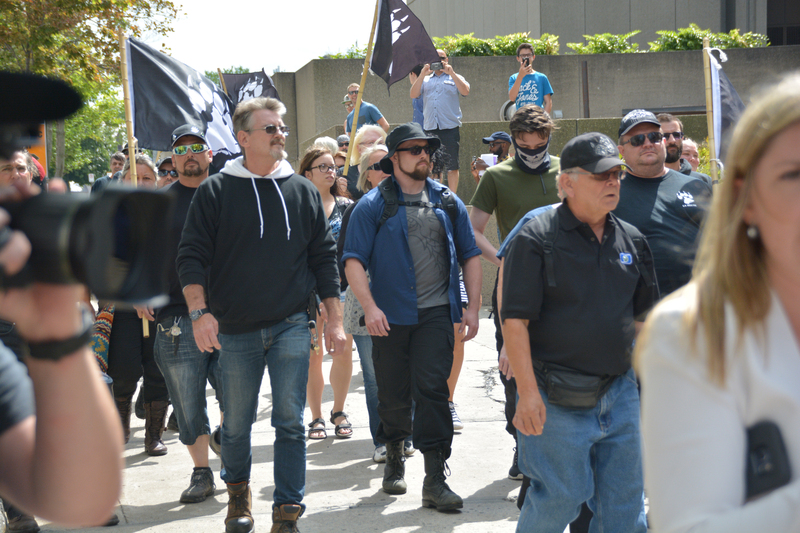 Shawn Beauvais-MacDonald also posted the white supremacist "14 words"
August 25, 2017 — Shawn Beauvais-MacDonald, the former senior level member of La Meute responsible for anglophone membership, was present at the anti-immigrant protest by La Meute in Quebec City this past Sunday (August 20, 2017). 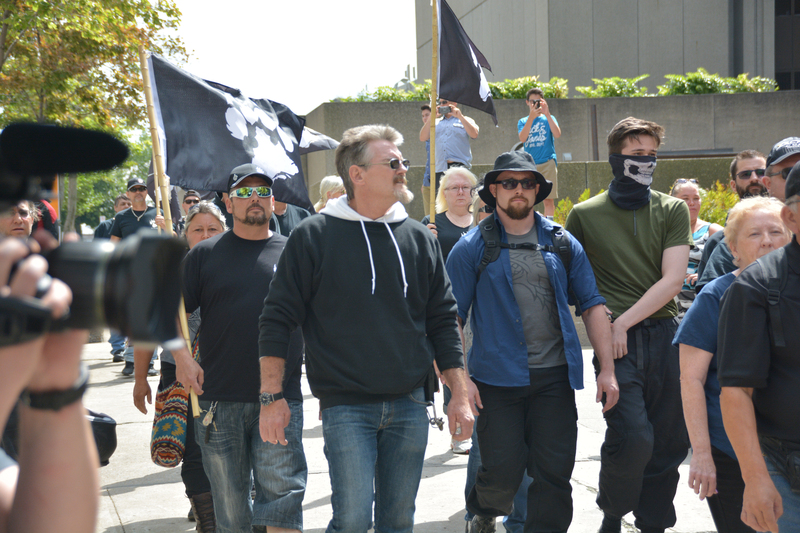 Beauvais-MacDonald was one of the Quebecers revealed to have been present at the Charlottesville neo-Nazi protests interacting with known racists and right-wing extremists. 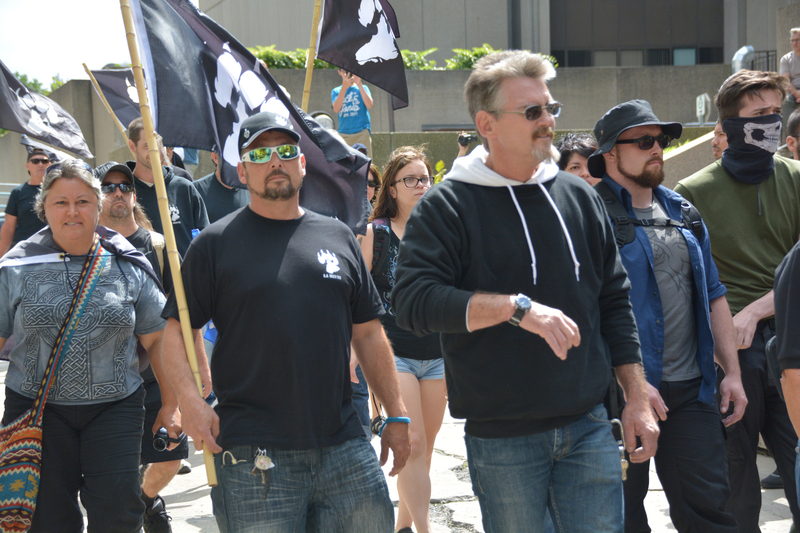 Beauvais-MacDonald doesn't seem shy about publicly sharing his neo-Nazi, white supremacist beliefs. 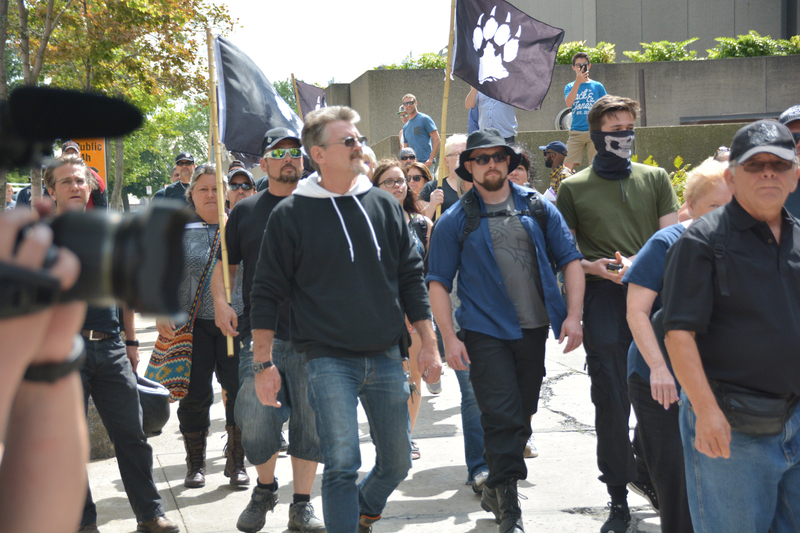 After his visit to Charlottesville was revealed in the mainstream media, Beauvais-MacDonald posted the white supremacist "14 words" used widely by neo-Nazis. A screenshot is available here: http://montreal-antifasciste.info/wp-content/uploads/2017/08/14-words-Copy-1.jpg (posted on August 23, 2017). 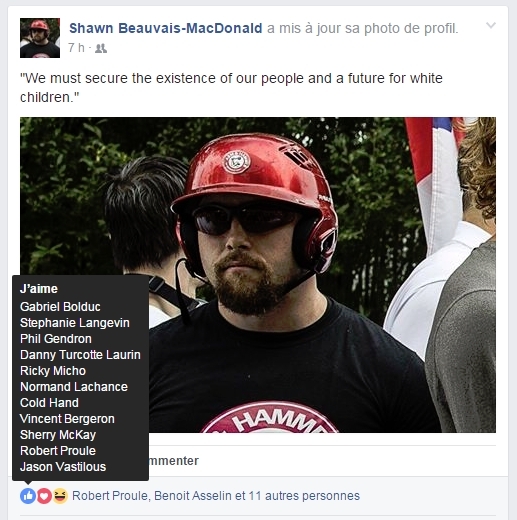 Revealingly, other senior members of La Meute, such as Robert Proule, part of "La Garde" of La Meute, liked Beauvais-MacDonald's comments, in addition to other known racists.